Sleep is an integral part of our health as it improves memory, helps repair damage and removes brain toxins. Remember the tale of the young princess who pricks her finger on a cursed spindle and falls into a deep sleep, which she can’t be woken from until she is kissed by her true love? Although the story involves fairy godmothers, witches and kingdoms, that princess was greatly improving her brain health while in her deep sleep. And Sleeping Beauty did end up with her prince. 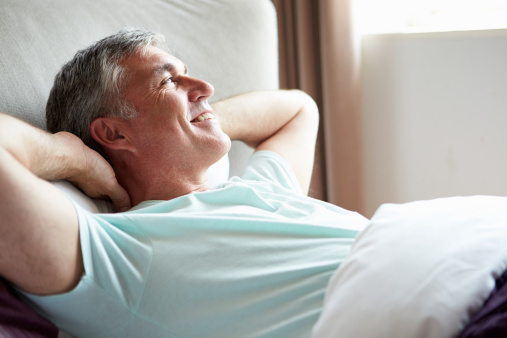 Sleep is an important aspect of overall health, especially in regards to brain health. When we sleep, our bodies and brains go through numerous different cycles, which all help us better perform the following day. Stages of sleep: What happens when we sleep? The first phase of sleep is referred to as non-rapid eye movement (NREM). This is where we begin to fall asleep, so it starts off quite light. During the first four stages, the body begins to relax, blood pressure and temperature lower, and muscle and tissue repair begin. The second phase of sleep – rapid eye movement (REM) – is our deepest sleep. This is when we begin to dream, our body and brain are provided energy, and our muscles are turned off. During sleep, as well, cortisol levels – the stress hormones – decrease, leaving us feeling relaxed and stress-free upon wakening. Both phases of sleep are important to supporting a healthy body. One main function that improves during sleep is memory and, as research reveals, poor sleep can leave you with a poor memory. So the main secret to getting smarter and being sharp is sleep. Research on sleep brain activity and memory started as early as 1924. Researchers taught participants syllables and tested them later. Some participants were allowed to sleep while others stayed awake. Those who slept had better recollection of what they were previously taught. Throughout the years studies revealed similar results. But why does sleep improve our memory? For starters, when we sleep, our brain goes through a recap of the day’s events. The areas of the brain that are responsible for making and storing memory – the hippocampus and the neocortex – communicate with one another. Through this exchange, events of the day are organized from short-term memory into long-term memory; this is referred to as consolidation. But memory isn’t the only benefit of sleep; we can become quite insightful through our hours of shut-eye as well. The University of California administered tests to participants in the morning and again in the evening. The researchers provided three words, then asked participants to come up with a fourth word that links them all together. Some participants napped long enough to enter the REM phase, while the others rested. The REM groups had better success at completing the test and were more creative than the rested group. This goes to show that sleep can also improve insight and spark creativity. As we know, sleep can restore many bodily functions, but it also plays a large role in the brain. Sleep brain activity not only includes improving memory but sleep brain repair occurs as well. Brain neurons that we use during the day greatly benefit from sleep brain repair. With sleep deprivation, sleep brain repair cannot occur, which can lead to uncontrollable moods, emotions and even hallucinations. Sleep brain activity also produces proteins, which are essential to repairing damage caused by stress and free radicals. Sleep brain repair then helps our bodies increase proteins, which go to work repairing cells and addressing other damage. Lastly, sleep brain repair also helps restore emotions, reasoning and problem-solving. On the other hand, sleep brain activity works to remove toxins. Sleep brain toxins consist of waste from the brain that gets released through sleep. This system is called the glymphatic system, comprised of cerebrospinal fluid that runs along the brain, surrounding blood vessels. This system can remove brain toxins like beta-amyloid, which is most commonly found in people with Alzheimer’s. To further assist in the release of sleep brain toxins, our brains also go through sleep brain shrink. When we experience sleep brain shrink, the removal of toxins becomes more effective. The removal of waste is necessary to prevent brain diseases as well as further helping our brain functions. In fact, science reports that our brains can shrink up to 60 percent during sleep. With all this shrinking and growing you can see our brains use up a lot of energy. Why sleep is essential for good health? You may think you’re benefitting yourself by staying awake and getting more things done, but you’re only hindering your brain. As research shows, you will actually retain and learn much more by sleeping, and your ability to reason and be creative will dwindle without proper sleep. Even if you have a deadline to meet, your quality of work won’t be tee our brains use uphe same if you deprive yourself of sleep. If given the chance, we’re sure you would want to sleep more but, for informational purposes, here are a few reasons to sleep more. The next time you learn something new or even just experience a great event, head straight to bed so your sleep brain activity can go to work, turning your experiences into precious memories you can call upon in the future.